The FRC issued an open letter to finance directors and audit committee chairs highlighting key issues for 2018/19 annual reports. Companies need to ensure that any risks relating to uncertainty around Brexit are adequately disclosed. Other key areas of focus include the application of new accounting standards, business model disclosures and Alternative Performance Measures (APMs). Amy Hutchinson highlights some of the issues companies preparing their year-end reports need to consider. Towards the end of 2018, the Financial Reporting Council (FRC) issued its usual open letter to finance directors and audit committee chairs, summarising key reporting developments for 2018/19 annual reports. This article highlights some of the FRC’s areas of focus and signposts further guidance. Ensuring there is a comprehensive explanation of the transition to IFRS 15. Clearly describing and explaining changes to revenue policies and any associated management judgements, reflecting company-specific information. Explain and, where possible, quantify material differences between IAS 39 and IFRS 9, including key assumptions adopted on implementation. For UK GAAP reporters, the triennial review amendments made to Financial Reporting Standard (FRS) 102 in December 2017 are applicable for accounting periods beginning on or after 1 January 2019 but are also available for early adoption. In particular, small companies may wish to benefit from early adoption of the new simplified accounting treatment for loans with directors. Linkage of the business model to other areas of the annual report. More detail on what makes a business unique. The Lab report contains some useful examples of good practice in business model reporting. The requirements of the EU Non-Financial Reporting (NFR) Directive came into effect in the UK for periods beginning on or after 1 January 2017. During 2018, the FRC issued revised guidance on the strategic report which is helpful in clarifying how the NFR requirements apply to different categories of company and how those requirements interact with the existing regulations on the strategic report. In the wake of the collapse of Carillion, the reporting of alternative performance measures (or non-GAAP measures) is again in the spotlight. The FRC emphasise the importance of complying with the ESMA guidelines on APMs, including providing reconciliations to IFRS amounts included in the financial statements, and not giving APMs greater prominence than those stemming directly from the financial statements. The Financial Reporting Lab has recently issued a report on this area, including examples of effective APMs in practice. 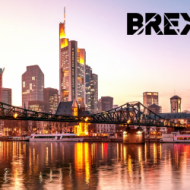 The uncertainties around Brexit could pose a particular challenge for companies with December year ends who may be publishing their annual reports before the 29 March 2019 deadline. Depending on the nature of the business and the extent to which they have been able to mitigate the risks posed by Brexit, companies will need to consider the impacts on the annual report – such as risk disclosures, viability statement and potentially even the recognition and measurement of items in the balance sheet. The FRC highlights that companies should ensure they carry out a comprehensive post-balance sheet events review, as the situation may well change in this period.